Taking care of all patients who present to the hospital, or are transferred from other care facilities, to receive emergency care, outpatient or inpatient care that can be provided by the different pediatric subspecialties available at the Hospital. We provide clinical consultations and collaborate closely with other general hospitals in cases that involve pediatric patients. Taking the responsibility to care for all clinical cases being transferred from other regional care facilities, as well as all patients who live in the geographic area where the Hospital is located. We also carry out medical examinations and forensic as requested by the authority. The Hospital serves as a teaching hospital for the affiliated graduate programs, medical universities, and colleges. The Hospital organizes and administers continuing medical education (CME) programs for the hospital staff as well as staff members from provincial / local care facilities. The Hospital collaborates with accredited universities and colleges to organize and administer pediatric subspecialty training programs for other health care organizations, following the guidelines and regulations put in place by the Ministry of Health and the Ministry of Education. The Hospital organizes and implements research projects in biomedical and clinical sciences, piloting advanced medical applications both at national and local levels. The Hospital collaborates with other subspecialty hospitals in the heath system to implement advanced technologies. Efforts will also be made to study the integration of traditional medicine into modern medical practices. The Hospital actively participates in epidemiology and public health research, especially in the area of pediatric primary care. The Hospital forms partnerships with oversea institutions to carry out advanced research and to study advanced technologies in the diagnosis and treatment of childhood diseases. The Hospital has the responsibility to assist the lower-level care facilities in the health systems to develop training programs, to improve quality of care, and to deploy new technologies. The Hospital regularly organizes training sessions in general pediatrics as well as in pediatric subspecialties for staff members of the provincial / local health centers. The Hospital works closely with lower-level care facilities and public health offices to provide primary care and disease prevention to children. Providing the general public with information and knowledge on children’s health. Collaborating with public health officials to carry out disease surveillance and prevention. The Hospital recruits and trains staff members who can take the lead on the fostering collaborations with pediatric programs in other countries around the world. 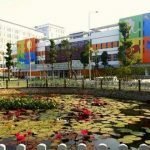 The hospital establishes partnerships with individuals and institutions from foreign countries, based on the principles of ensuring effectiveness, sustainability, adaptability, mutual benefits, and compatibility with the laws of Vietnam. The Hospital establishes plan to ensure that government fundings are used most effectively. The hospital has partial autonomy within the functions, missions, and responsibilities already established by the Ministry of Health and the Department of Health. The hospital has the responsibility to report to the Department of Health and the legal system of Vietnam on its activities. 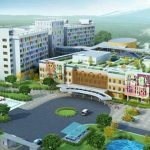 The Hospital has the responsibility to follow all regulations set out by the Government of Vietnam in managing public funds, charging service fees, interacting with public health insurance, and accounting. The Hospital provides value-added services such as extra-hour care, care on demands, service beds etc. to supplement the hospital budget, providing funding for staff and modern clinical equipments. 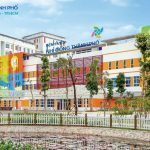 The Hospital closely manages the funds donated or invested by donors, foreign investors, or other economic identities according to the law and regulations of Vietnam. Besides the missions outline above, the Hospital has the responsibility to carry out other missions as requested by the Director of Department of Health in responding to disasters, epidemics, humanitarian crises, and other social needs that arise within the local jurisdiction or in the region. Address: 15 Vo Tran Chi Street, Tân Kiên, Binh Chanh District, Ho Chi Minh City.